An essay on going to university should reflect a passion for learning. Even if writing is not your subject of expertise, you can still write a brilliant university application essay. 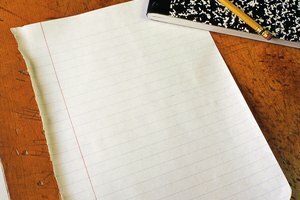 Most university applications require you to write a short essay that reflects your motivations toward higher education. The essay should be engaging, unique and, most importantly, showcase your personality. University admissions staffs read hundreds of application essays each year, so it is important to make your essay stand out from the masses. Remember that unique details, imagination and passion are of utmost importance when writing this type of essay. Brainstorm ideas for the main topic of your essay. You can center the essay around a specific idea you have about the world you wish to explore further through your university education. Focus your essay around a profound personal experience that led you to want to study at the university level. 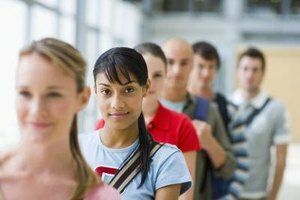 Consider a topic that features your uniqueness, like what makes you different from everyone else who wants to study in a university. Extract a main thesis statement from the more general idea you developed in your brainstorming session. For example, if your general topic focuses on your experience traveling to Germany in high school, you can narrow the topic to "Studying the history, language and culture of other nations at the university level will allow me to one day become an international ambassador for my own country." Write an outline for your essay that includes an introduction, three body paragraphs and a conclusion. Each body paragraph should present a new idea while building on the idea from the previous paragraph and tying in to the overall thesis statement of the essay. Write the introduction so it includes your thesis statement. Some essay-writing guidelines suggest a specific, sentence-by-sentence layout of the introduction, but as long as the introduction is clear, engaging and has a sense of purpose, the exact format doesn't matter. Use the introduction to grab the reader's attention, perhaps through a unique lede. Write the body paragraphs with as many specific details as possible. Details will make your essay stand out from the many generic university admissions essays. Use anecdotes, quotations and visual language to help paint a picture with your words. Use transitions, such as "furthermore" and "additionally," to help one paragraph flow to the next. Write your conclusion so it emphasizes why studying at a university is so important to you. Remind the reader of your thesis statement, but add greater insight that goes beyond your own personal education goals and talks about the "bigger picture." For example, go beyond your original statement about how university education will help you fulfill your dream of becoming an international ambassador, and stress that educating future ambassadors is important on a global scale. Proofread your final copy carefully before submitting it to the admissions office. Even small spelling or typing errors can distract from an otherwise excellent essay. Kay, Margaret. "How to Write a Short Essay on Why You Want to Study in a University." Synonym, https://classroom.synonym.com/write-short-essay-want-study-university-4126.html. Accessed 19 April 2019.